I continue to find family treasures while going through my dad's papers. 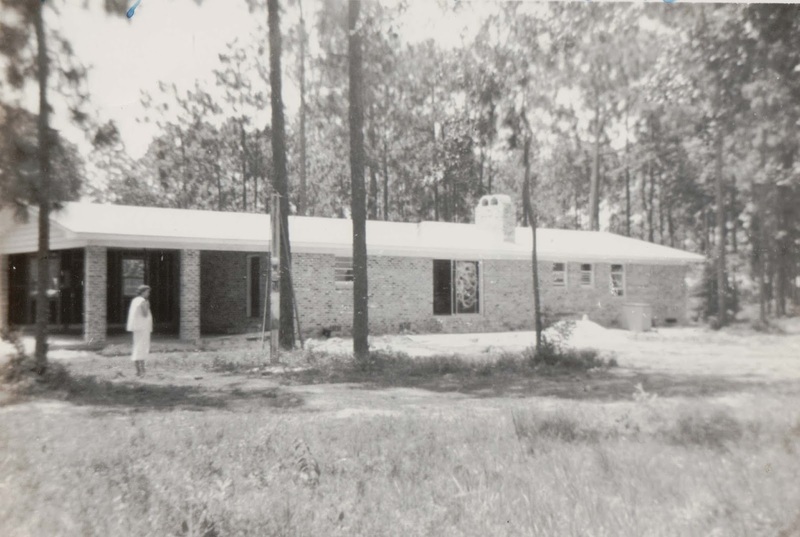 Here are a couple of photographs I found of my parents' house where I grew up and where my mom still lives. 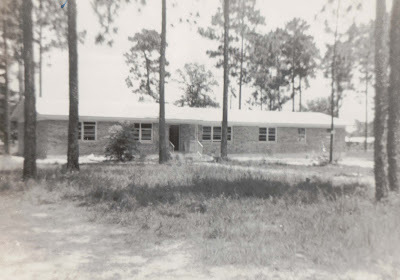 These were taken in 1958, probably just before or just after the house was completed. We moved from a two bedroom/one bath house to this three bedroom/two bath house because my mother was expecting her 3rd child, my brother John. She's standing in the back yard in the second photograph. 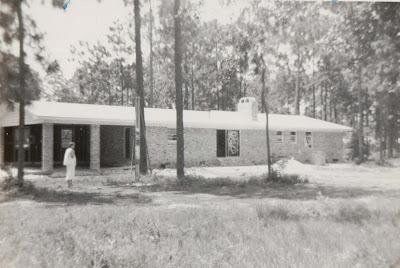 This is the front of my childhood home in Valdosta, Georgia, in 1958. My mother standing in the back yard of our home in Valdosta, Georgia, in 1958. In 1963, just before the birth of their 5th child (my sister Helen), my parents added a whole other wing to the house (two more bedrooms, another bath, and a studio for arts and crafts and writing) making the house into the shape of a "J." While going through my dad's stuff, I found the drawing for the 1963 addition. It seems strange to see the house as it was so long ago.